This February, we were delighted to welcome writer Shelley and her extended family to our 5 Star Lodge at Gatlinburg Falls Resort. Shelley had visited Gatlinburg before, and enjoyed her stays, but this was her first time at our resort. Happily, she tells us it was also her favorite visit! Shelley’s cabin featured 5 king bedrooms, 2 queen sleeper sofas, and 2 twin sleeper sofas — perfect for her entire family. Other amenities included a fireplace, premium cable and 7 flat screen TVs, a home theater, and a game room. 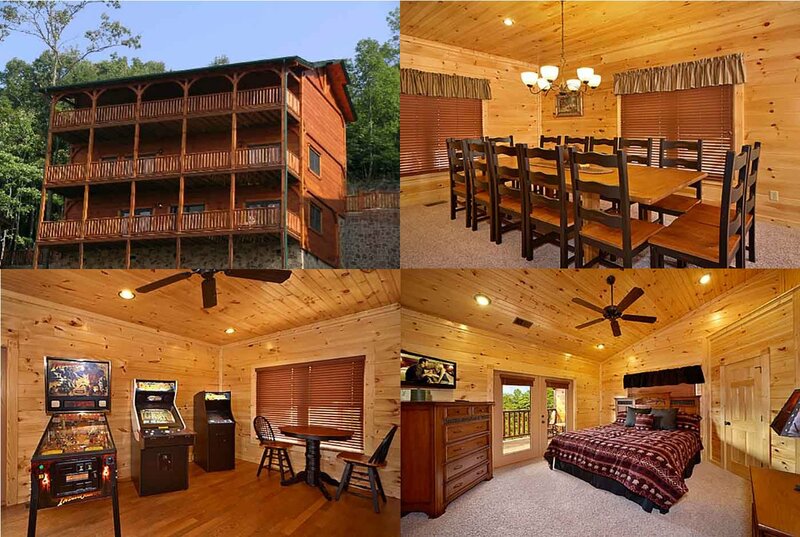 Everyone in the group loved the beauty of the Smoky Mountain views right outside their windows and found the stay just what they needed for quality time together.